Combine the buckwheat flour, almond flour, cinnamon, nutmeg, baking soda, and salt in a bowl. In another mixing bowl, whisk together the eggs, honey, vanilla, and coconut oil until well combined. Gently heat the coconut oil before combining so that it is in liquid form. Add the dry ingredients to the wet and whisk to combine. Allow the mixture to sit for 3-5 minutes for the buckwheat flour to absorb the liquids. Add the apple cider vinegar, banana, and zucchini and stir to combine. Scoop the batter into the lined muffin pan. 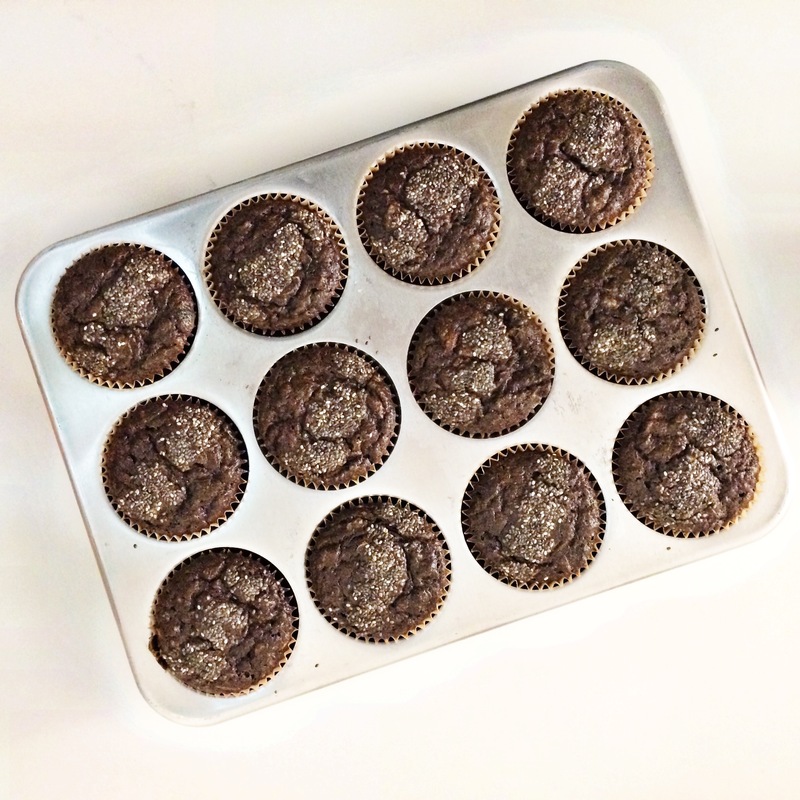 There should be a perfect amount of batter for 12-muffins if using a 1/4C scoop. Sprinkle chia seeds onto the top of each muffin. Bake for 20-25 minutes until a toothpick inserted into the center of each muffin comes out clean.